Scott Walker is a fugitive from the quicksands of Finance, with one card to play – DeepShare, a silicon oracle coveted by billionaires, hitmen and hackers. As he fights for survival and vengeance, digging deeper into the dark heart of the global economy, one question torments him: what price will the world have to pay? ZERO ALTERNATIVE is an action-packed conspiracy thriller that plucks at the base of human nature. When our grip on love, hope and morality starts to slide, the only future worth living is the one we choose for ourselves. Luca Pesaro was born in Italy but has spent most of his adult life in the US or UK. After long years gaining a degree and masters in the pseudo-science that is Economics he got bored, jumped the gun and became a derivatives trader in financial markets. Zero Alternative is his first novel and he is hard at work on his second thriller. He is married to an awesome lady and they have two children who always manage to annoy, surprise and delight beyond any reasonable expectation. Winner of the gold medal for Best Romance/Fantasy, 2013 Readers’ Favorite International Book Awards. American doctor Tara Moore wants to disappear. 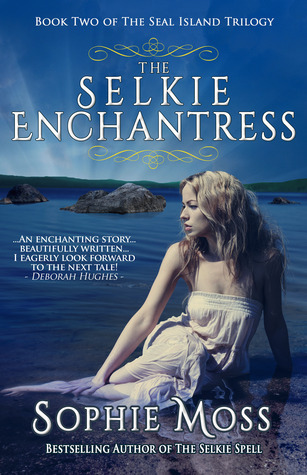 On the run from an abusive husband, she seeks shelter on a windswept Irish island and dismisses the villagers’ speculation that she is descended from a selkie–a magical creature who is bewitching the island. But when a ghostly woman appears to her with a warning, Tara realizes it was more than chance that brought her to this island. Desperate to escape a dark and dangerous past, she struggles against a passionate attraction to handsome islander, Dominic O’Sullivan. But the enchantment of the island soon overpowers her and she falls helpless under its spell. 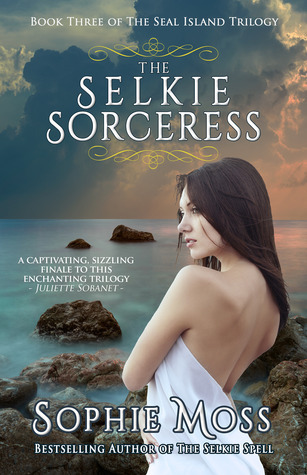 Caught between magic and reality, Tara must find a way to wield both when a dangerous stranger from her past arrives, threatening to destroy the lives of everyone on the island. Sophie Moss is an award-winning author of four full-length romance novels. Her stories are featured consistently on Amazon Kindle Bestseller Lists. Known for her captivating Irish fantasy romances and heartwarming contemporary romances with realistic characters and unique island settings, her books have appeared twice in USA Today. As a former journalist, Sophie has been writing professionally for over ten years. She has a B.A. in English from the University of Vermont and she is a long-standing member of Romance Writers of America. Sophie currently lives in San Diego, California, where she is writing her next novel. When she’s not writing, she’s walking the beach, volunteering at the local Humane Society, or working in her garden. 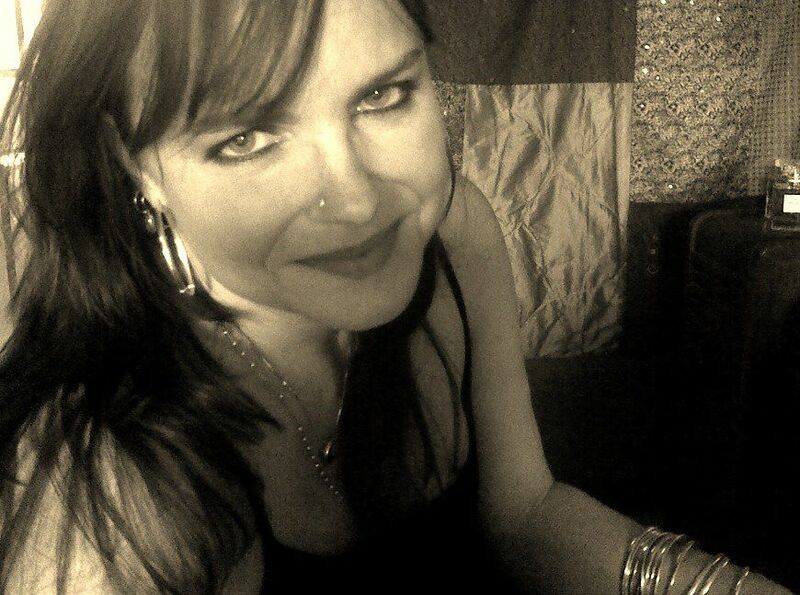 Visit Sophie at her website at http://www.sophiemossauthor.com. “This wasn’t supposed to happen,” she whispered, but when he threaded his fingers into her hair, she let the heady scent of him pull her in. She searched frantically for a wall, for a defense when his fingers brushed the back of her neck, but when he touched his lips to hers, the need for him whipped through her, had her fitting her body to his. And as the red sun rose, bleeding into the sky, Tara knew that it was him she’d been searching for, him she’d been running to all this time. He was the missing puzzle piece she’d been looking for. That last impossible-to-find piece that could make her whole. The ocean crashed, surged against the cliff wall. Sensing her urgency, her need, Dominic slid his hands up her back. His fingers curled into her hair and the scent of her shot into him like a drug. A small sound escaped from somewhere deep in her throat. Her lips parted, drinking in the taste of him. Sugared almonds. Spiced rum. She raked her palms up the hard muscles of his chest, gripped those wide shoulders when her knees went weak. Her mind grew dizzy. And she clung to him, angling the kiss, taking it deeper, desperate for more. He twisted his hands in the back of her shirt, fighting to maintain control. “Tara,” he breathed. He started to release her. Her pack was on the ground. All she had to do was grab it and run. Disappear. Like smoke. But she didn’t pull away. She didn’t move. And, gazing up into eyes the color of liquid silver, she let out a long breath. And when he stood there, his strong arms holding her, gazing down at her with those quiet, patient eyes, she knew she wasn’t going anywhere. She wasn’t leaving the island. She wasn’t leaving Kelsey. And she wasn’t leaving him. Whatever was coming for her, she was going to face it. And when the first rays of sun shot over the island—ribbons of orange fire into the street—she hoped she was strong enough. And that she wasn’t making a terrible, terrible mistake. Life is strange and difficult for the granddaughter of a shaman. Sixteen-year-old Talisa Santiago was born in the desert underneath the full moon in January-the wolf moon. However, she left the desert with her mother when she was a young girl. She remembers bits and pieces of her past but it isn’t until she and her mom move to a remote barrier island off the coast of North Carolina that she feels fate has finally called-secretive and mysterious he stands alone on the edge of the bank. Her friends tell her to stay away; she hears rumors that he is dangerous. Still, she can’t resist. Whether Talisa realizes it or not, she knows a thing or two about boys like Jag Chavez. Fate is funny that way. For the first time in her life, Talisa meets kids just like her-Native Americans who know the ways of the spirit. The closer she gets to Jag, the more she realizes he is hiding a dark secret. He may have the markings of the Thunderbird, but he is named for the powerful Jaguar. Together they embark on a journey that will haunt her forever. Seventeen-year-old Talisa Santiago, the pregnant Native American shifter and granddaughter of a shaman is about to begin the self discovering journey of a lifetime, taking her from the only place she truly remembers and putting her on sacred land. The trials and tribulations there lead her into what can only be described as truly illuminating. She also finds herself in a love triangle, one that throws her life into utter chaos. Leaving her to learn not only how to deal with her shape shifting abilities, a new baby and now two men who will both tug at her heart in very different ways. Who will she decide to live with and what will it mean for the rest of her journey? 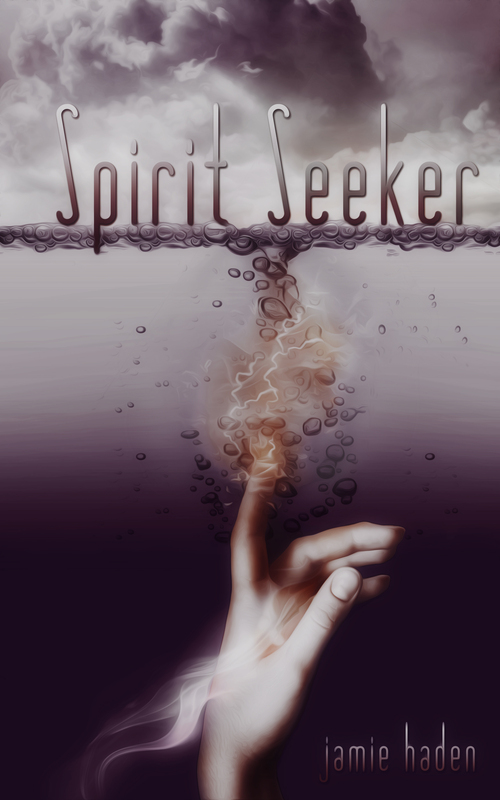 Jamie Leigh Haden is the author of Spirit Seeker, a young adult fantasy. Jamie lives and writes near the seashore in North Carolina. She has a Bachelor’s degree in philosophy. 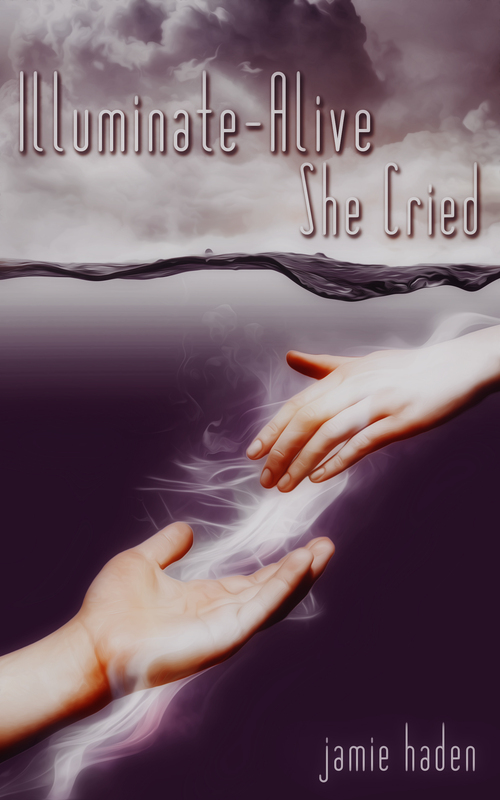 Jamie is currently working on An Unimagined Life, the sequel to Illuminate-Alive, She Cried. That process has changed over the years. I used to outline everything, takes lots of notes, know where the whole story was going to go. I used to know the end before I wrote the beginning. Now that has all changed. Now, I just sit down and write. I let the story tell itself. I absolutely love Stephen King. What a thrill it would be to just sit down and have a cup of coffee with him. 3. What is in your To Read Pile that you are dying to start or upcoming release you can’t wait for? I just bought LOOKING FOR ALASKA by John Green. My kids love his work. I can’t wait to start reading it tonight. I love to sit by the pool and tan with my girls. My backyard is my favorite place to be. I’m terrified of heights but I seriously think I’d like to skydive one day. I LOVE a cold Dr. Pepper with ice, Cherry Jolly Ranchers, and Slurpies from 7-11.